It seems the groundhog has predicted an early spring! Road Trip Wednesday is a ‘Blog Carnival,’ where YA Highway’s contributors post a weekly writing- or reading-related question and answer it on their blogs. You can hop from destination to destination and get everybody’s unique take on the topic. 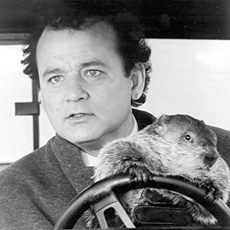 Today’s Prompt: In celebration of Groundhog’s Day, what book would you read over and over? From Goodreads: An affectionate, sometimes bashful pig named Wilbur befriends a spider named Charlotte, who lives in the rafters above his pen. A prancing, playful bloke, Wilbur is devastated when he learns of the destiny that befalls all those of porcine persuasion. Determined to save her friend, Charlotte spins a web that reads “Some Pig,” convincing the farmer and surrounding community that Wilbur is no ordinary animal and should be saved. In this story of friendship, hardship, and the passing on into time, E.B. White reminds us to open our eyes to the wonder and miracle often found in the simplest of things. From Goodreads: Seventeen-year-old Lennie Walker, bookworm and band geek, plays second clarinet and spends her time tucked safely and happily in the shadow of her fiery older sister, Bailey. But when Bailey dies abruptly, Lennie is catapulted to center stage of her own life—and, despite her nonexistent history with boys, suddenly finds herself struggling to balance two. Toby was Bailey’s boyfriend; his grief mirrors Lennie’s own. Joe is the new boy in town, a transplant from Paris whose nearly magical grin is matched only by his musical talent. For Lennie, they’re the sun and the moon; one boy takes her out of her sorrow, the other comforts her in it. But just like their celestial counterparts, they can’t collide without the whole wide world exploding. Just as much a celebration of love as it is a portrait of loss, Lennie’s struggle to sort her own melody out of the noise around her is always honest, often hilarious, and ultimately unforgettable. I’ve talked about The Sky is Everywhere more than once on this blog, and for good reason. The writing is gorgeous, and likeable protagonist Lennie is both the unluckiest and luckiest girl in the world. 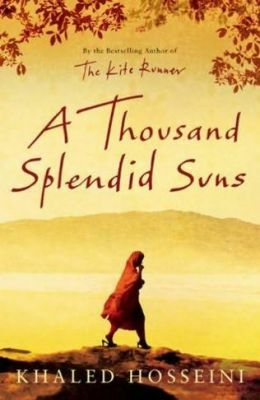 From Goodreads: A Thousand Splendid Suns is a breathtaking story set against the volatile events of Afghanistan’s last thirty years, from the Soviet invasion to the reign of the Taliban to post-Taliban rebuilding, that puts the violence, fear, hope and faith of this country in intimate, human terms. It is a tale of two generations of characters brought jarringly together by the tragic sweep of war, where personal lives, the struggle to survive, raise a family, find happiness, are inextricable from the history playing out around them. Propelled by the same storytelling instinct that made The Kite Runner a beloved classic, A Thousand Splendid Suns is at once a remarkable chronicle of three decades of Afghan history and a deeply moving account of family and friendship. It is a striking, heart wrenching novel of an unforgiving time, an unlikely friendship, and an indestructible love, a stunning accomplishment. A Thousand Splendid Suns is my very favorite adult novel. It’s heartbreaking, thought-provoking, and unforgettable. I’ve read it twice, and even though I knew every twist that was coming, I loved it even more the second time. What about you? What book do you love so much you could read it over and over again? And don’t forget to stop by YA Highway to check out all of the other recommendations! Posted in: Great Books, ME, Road Trip Wednesday! you’ve got some seriously awesome choices! i canNOT believe i left out a thousand splendid suns (i just typed that sons–ha!). it had the same effect on me as it did on you–especially considering i live right next to afghanistan and our cultures are a bit similar and all. Yes, definitely read The Sky is Everywhere! Afghanistan’s culture is one of the things that drew me in to A Thousand Splendid Suns. While the story was amazing, the cultural aspects were completely fascinating. Great choices- I read the Kite Runner but not this one. I will have to check it out. Afghanistan’s history is fascinating! I’ve only seen The Kite Runner movie. I loved it, but A Thousand Splendid Suns struck a deeper chord with me because it’s about a relationship between two women in a terrible situation. Definitely worth reading! I loved THE SKY IS EVERYWHERE, and CHARLETTE’S WEB is a good choice too. A THOUSAND SPLENDID SUNS has been sitting in my To-Be-Read pile for almost a year now. I really should stop procrastinating reading that one. Yes, move it to the top of your pile, Kate. I think it’s an amazing book. I feel awful because I’ve never read any of those books. Yep I’ve never read CHARLOTTE’S WEB. But I’ve heard amazing things about all those books. I loved Charlotte’s Web. I almost put that, too. I think I need to re-read it again now. Love it. The Sky Is Everywhere is on my must-read list. From what I’ve heard it’s crazy good. And I need to read A Thousand Splendid Suns! I loved Kite Runner with a passion, and I’ve been meaning to read this one, too. I think I was sort of apprehensive, worrying that it wouldn’t be nearly as good as Kite Runner. A Thousand Splendid Suns hit closer to home, even though I really enjoyed The Kite Runner movie. The Afghani culture is completely different than anything I’ve ever experienced, but ATSS centers around women and that made it easy to relate to. Check it out… and you must read The Sky is Everywhere! 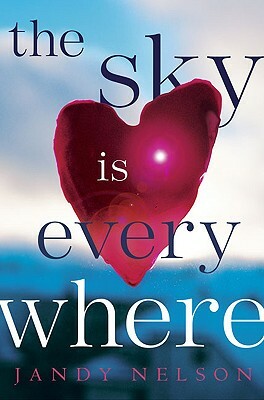 I just bought The Sky is Everywhere after a friend said it was a MUST read. Can’t wait! Yes, it’s fabulous, Alison! I hope you enjoy it! Charlotte’s Web is awesome, although along that line I’d have to add the Trumpet of the Swan and Cricket in Time’s Square. Wonderful, wonderful books to read to yourself or aloud to others. Must read A Thousand Splendid Suns! It sounds fascinating! Oh, I always get weepy at the end of Charlotte’s Web, Leila. Ridiculous, since I know exactly what’s coming, but it’s just so darn moving!